Monarch Beach is located between Dana Point and Laguna Beach and is one of Orange County's most exclusive beachfront communities. Homes for sale in Monarch Beach offer prospective residents with seaside charm and elegance. Take a look at recently sold Monarch Beach homes or read more about Monarch Beach real estate. Monarch Beach real estate options for sale are mainly a pleasing mixture of tract homes, custom homes, and truly spacious grand estates. Monarch Beach fascinates nature lovers breathtaking view of sunset reflection on majestic oceans. For all the excitement about the place, its fame still rests on the many splendid beaches. There's the Doheny State Beach. 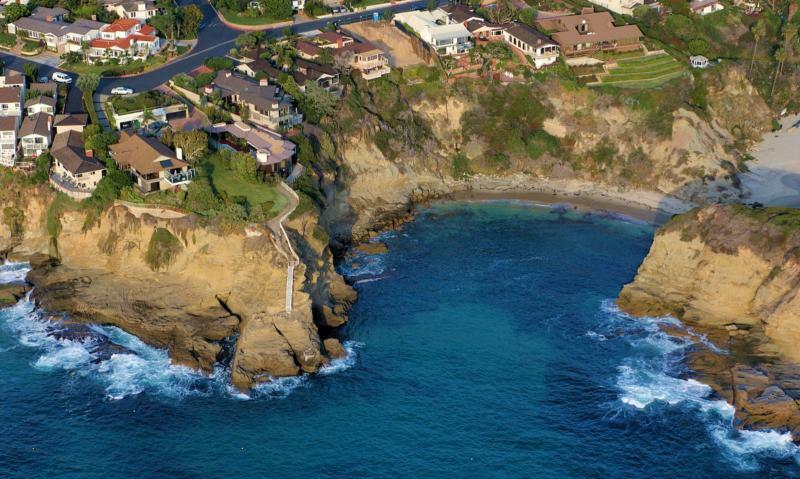 Other wonderful beaches include the Ritz Cove, Laguna's Main Beach and the Newport Peninsula. You'll surely love the cool water. Visiting beaches is a perfect way to plunge into the gentleness of nature. If you're an outdoor enthusiast, you'll even love it more when you feel the dazzling sand, go fishing, diving, snorkeling and start surfing to conquer the great waves. Definitely, beauty is endless, Monarch Beach real estate offers wonderful amenities including beautiful parks. From Sea Canyon Park, Salt Creek Corridor Regional Park to Crystal Cove State Park; these parks are perfect for outdoor adventures like biking and hiking. Nearby, there are also sites in the Crystal Cove Park that will allow you to take a glimpse of fantastic tide pools by the oceans. Monarch Beach is not all about feeding the senses with nature's bounty. It is also about unforgettable romantic dinners and comfy shopping. You'll also love to be here for first-class restaurants, various shops, bazaars and art galleries. It is the perfect place that struck everything that is the answer to your fancy. Every year, various cultural and community events are held in South Orange County. The yearly Whale Festival is an exciting celebration that attracts a large crowd of around 100,000 people. This colossal event hosted by the City of Dana Point features artworks of gifted local artists. There's more than a hint of historical and cultural treasure in the community: the San Juan Capistrano, "Jewel of the Missions" near the community is the highlight of the County. It is founded by Padre Junipero and named after the brave priest, St. John Capistrano. The mission has become the site for different valuable cultural and learning activities including wedding, garden, art and musical shows.